In a strange world inhabitated by the weirdest creatures imaginable, peace could only last as long until somebody had the brilliant idea to create a crazed robot army. It's now up to the nerdy engineer Splee and her bulky pal Gløb to stop the invaders. 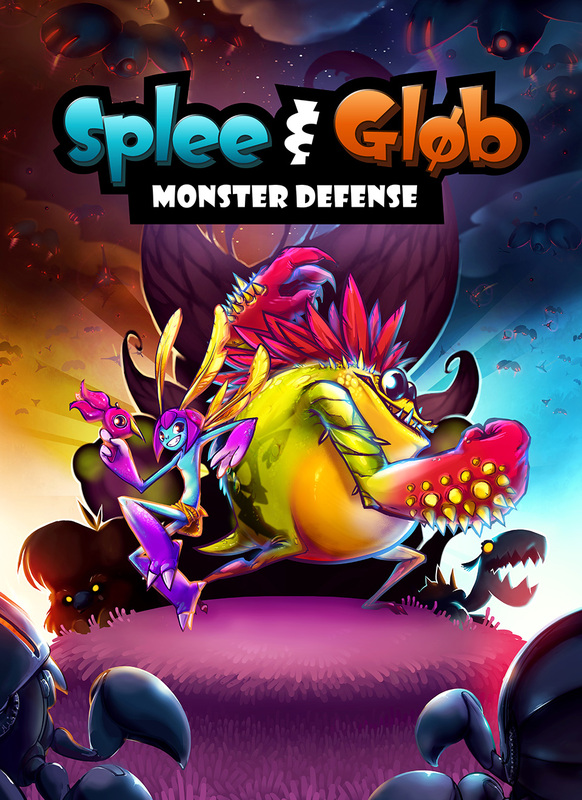 In Splee & Gløb: Monster Defense, up to two players take control of the unlikely couple to fend off the invaders through clever tower-building and third-person combat in the most non-linear and asymmetric tower defense game you've ever seen. Check out our Kickstarter trailer and Steam Greenlight profile if you like the game. You can make it real! We've tried to give you a comprehensible and brief overview of the game in our recent Kickstarter trailer. But as with any strategy title, it's the details that matter. Starting today, we're introducing a new video series in which we'll reveal more and more of the game's concept and contents. In this very first episode, our concept artist Jessica takes you on a tour through the design department and talks about the ideas behind the two hero characters. Additionally, you'll get an idea of what skills Splee and Glob will be able to unlock as you play. As part of our new video series, we're also introducing our Monster 101 - a series of short videos that focus on the individual monsters you'll be able to plant as towers in the game. In the first episode, our 3D Artist Dominik tells you what's up with our grumpiest creature Wobble and what evolutions you can expect. We've also uploaded our characters on Sketchfab. It's a cool new platform to showcase your 3D assets online through WebGL and is as simple as watching a video. You can watch Splee, Glob and Wobble in detail and from all directions right now and we'll keep adding new monsters as we release new Monster 101 episodes. Greenlit after only two days! After just 48 hours, Splee & Glob has been greenlit by the Steam Community. Time to celebrate! 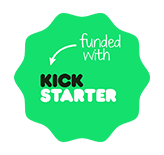 Splee & Glob hitting Kickstarter! After months of preparation, the game is now on Kickstarter and Steam Greenlight including a first playable prototype. After two months of intense prototyping, we’re giving you a first impression of the game’s design and world. This prototype build comes with a quick walkthrough tutorial, a singleplayer demo map and 2 player co-op. Could be a good fit for the Wii U. The conecept art looks sooo good.